A couple of weeks after T-Mobile pushed out updates for its Galaxy S9 and S9+, both of Samsung’s flagships are being updated again. T-Mobile’s Galaxy S9 and Galaxy S9+ are now receiving updates to G960USQU3BRJ5 and G965USQU3BRJ5, respectively. These updates are now going out over the air and TmoNews readers Jeff and Casey have both received their phone’s update. As for what’s included in these updates, the only thing mentioned in the changelog is “The security of your device has been improved.” Both updates are on the October 1, 2018 security patch level, which was included in the updates that rolled out near the end of October. Details of these updates may be light, but it’s good to keep your phone up-to-date so that you’ve got the most recent security patches. 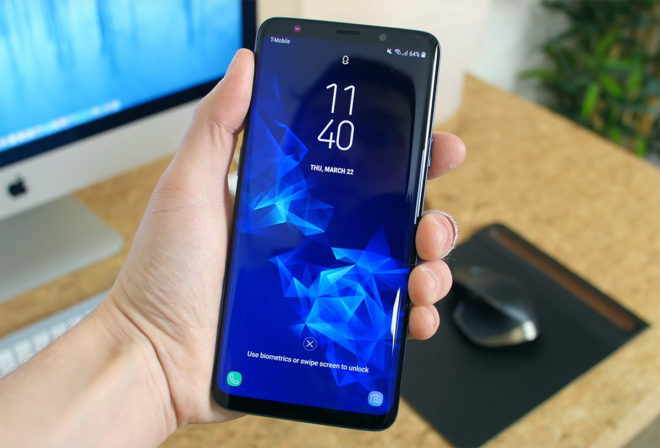 If you’ve got a Galaxy S9 or S9+, you can wait for today’s update to roll out to your phone over the air, or you can manually check for it by going into Settings > Software update > Download updates manually. And when will note 8 get an update. I’d on the September 1 security. And update the camera, it’s bad, especially the front one. If you really want the latest updates/security updates, go to XDA Note 9 forum and look up the leaked ATT OTAs. Note 9 firmware is the same for US carriers and the OTAs are playstore certified. Odin to the appropriate firmware then flash the latest OTA in recovery. Note 9 had a November security patch before Pixel phones got it. Carriers will never release updates in a timely manner even when Samsung provides them. sweet! ill take a look see over there. Don’t update. My keyboard is now sluggish and the back key doesn’t work when holding it down anymore. Have to delete one letter at a time. Wtf no changelog and it made my phone worse. Thanks for testing T-Mobile!